We offer a full range of property management services tailored to you as an investor, homeowner, or landlord. 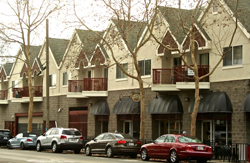 We have an extensive portfolio of single family homes, townhouses and condos in the Midtown Sacramento area. Some of the many benefits of trusting KTB with your Midtown Sacramento Property Management needs are detailed below. KTB Property Management has leased over 3,000 houses in their 20 plus years of Property Management. We currently lease 10 to 15 homes a month; some using or Full Management Services and others with just the Rent-up Option. Our market place is the entire greater Midtown Sacramento region including Placer, and El Dorado counties. Here is an overview of the steps we take to market and lease your property. For the do-it-yourself investor, looking for maximum marketing exposure for the dollar, KTB Property Management will list your property in our marketing program, screen the callers, get an application (and credit report) and pass them on to you. The property can be anywhere in greater Midtown Sacramento; our marketing program covers Midtown Sacramento, Placer, Yolo and El Dorado counties. Midtown is a historical district and neighborhood just east of Downtown Sacramento. It is a largely residential community with tree-lines streets and old Victorian houses. It is also the center of Sacramento's art, music, and cultural scene. Boutiques, bars, clubs, upscale, and casual dining abound. Midtown has the only winery located in the greater Sacramento urban area and also hosts an art walk on the second Saturday of each month, which attracts thousands of metropolitan residents. 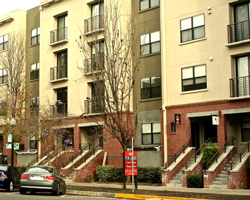 Midtown is known for being pedestrian-friendly and bike-friendly with continuous marked bike-lanes throughout the neighborhood and a bike path connecting to the American River Parkway, which extends to Folsom. Public transit consists of Sacramento Regional Transit District light-rail lines running down R Street connecting the neighborhood to the metropolitan area and bus lines serving the central city area. The Midtown community is diverse, with many historic sites such as Sutter's Fort, as well as well-preserved historic buildings throughout the community.